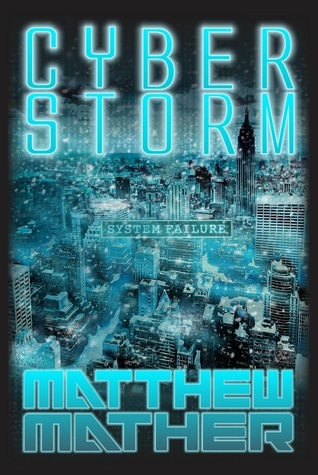 CyberStorm by Matthew Mather Gets Film Deal! Not many people know that during the beginning of 2013, I was asked by the wonderful author, Mr. Matthew Mather, to be a beta-reader for his novel CyberStorm. I discovered his work on Amazon when I came across The Complete Atopia Chronicles, a series of six ‘sidequels’ that operate on one timeline and start at relatively the same time. I love that series so much it was my top book for the year of 2012, garnering that elusive five stars rating that I very rarely give out. You can read my review on The Complete Atopia Chronicles HERE, and trust me, you’d want to read this book. I didn’t know what I was getting into when I started reading CyberStorm, but boy did it blow my mind. There’s always a little bit of stigma surrounding published novels, but what people don’t realise is that sometimes authors choose to take this path because it gives them the freedom to write what pleases them. I for one am very glad that Mather took this path because it means I get to enjoy a piece of work that is not influenced by any need to appease a certain demographic. This novel receives the highest praise and I feel so fortunate to have been given the opportunity to work with such a wonderful author. Truly a wonderful read, so if you’re a lover of science-fiction, do yourself a favour and pick up this book! Congratulations Matthew Mather, I’m so happy for you and look forward to many wonderful works by you in the future!